Some basic skills for you Foodies today! 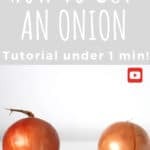 Do you know how to cut an onion effectively? Let me tell you that once you master it, you won’t have time to cry over your onion, unless you are cutting a bunch in a row! [How to] series: I will share 2 cutting tutorials and one technique. Next, I’ll give you a great recipe which will allow you to use your 3 new skills you will have learnt this week. Are you reading to learn? You can start by using the small pairing knife if this is what you are comfortable with. It’s really a matter of practising. Make sure your cutting board is not slippery. If it is, take a piece of paper towel, wet it and stuck it under your board. Stable? Get chopping! 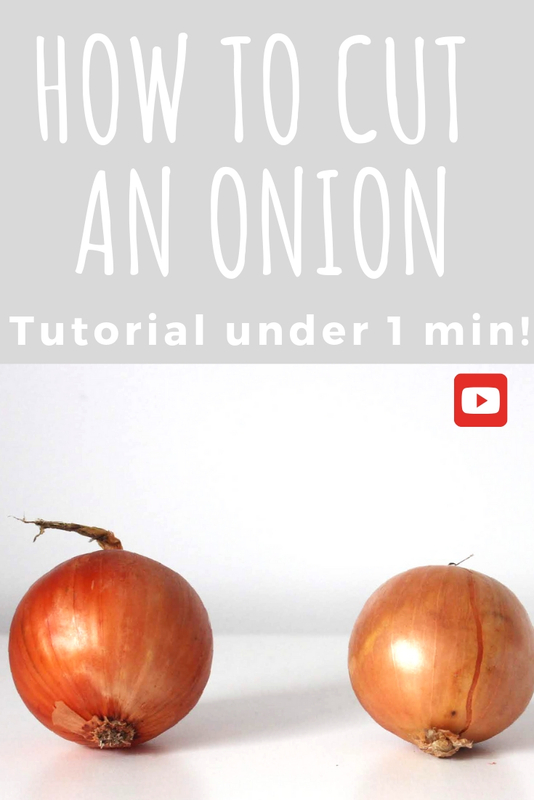 You will note on the video, once the onion is sliced in 2, keep the side where the roots are. It will keep your onion together as you cut it. If you have a thirst for learning more while your chopping board is out and the knife is all warmed up… There are also the 4 main types of vegetables cuts: bâtonnets, dice, julienne and brunoise. Again, these words sound French and fancy but you know I got your back! Please tell me how your practice went with your onions and tell me what you would like to learn, I’d love to share what I know!